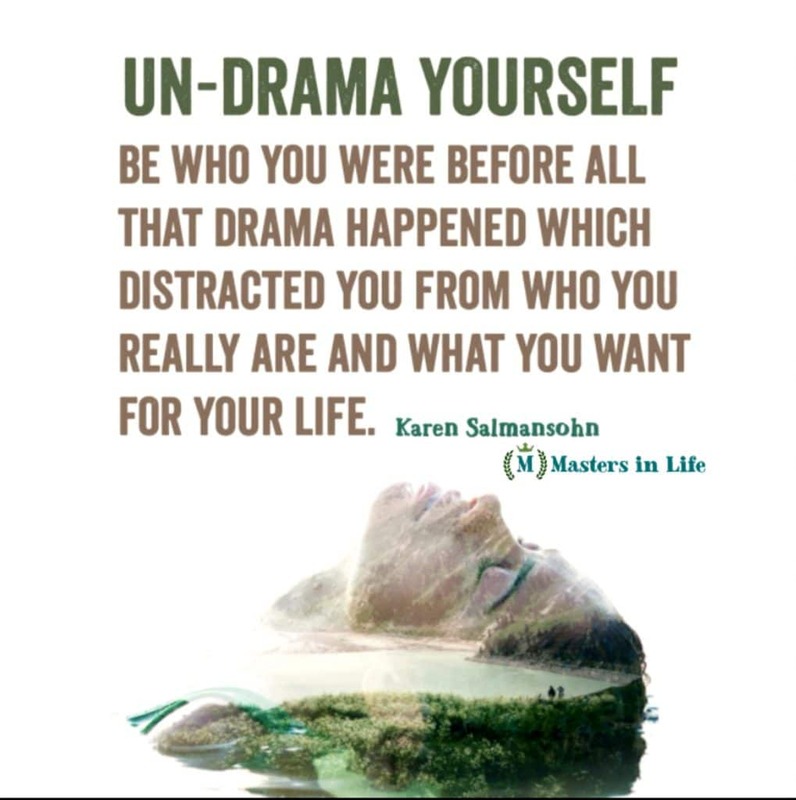 Do you have challenging people in your life – who create stress, drama, upheaval? 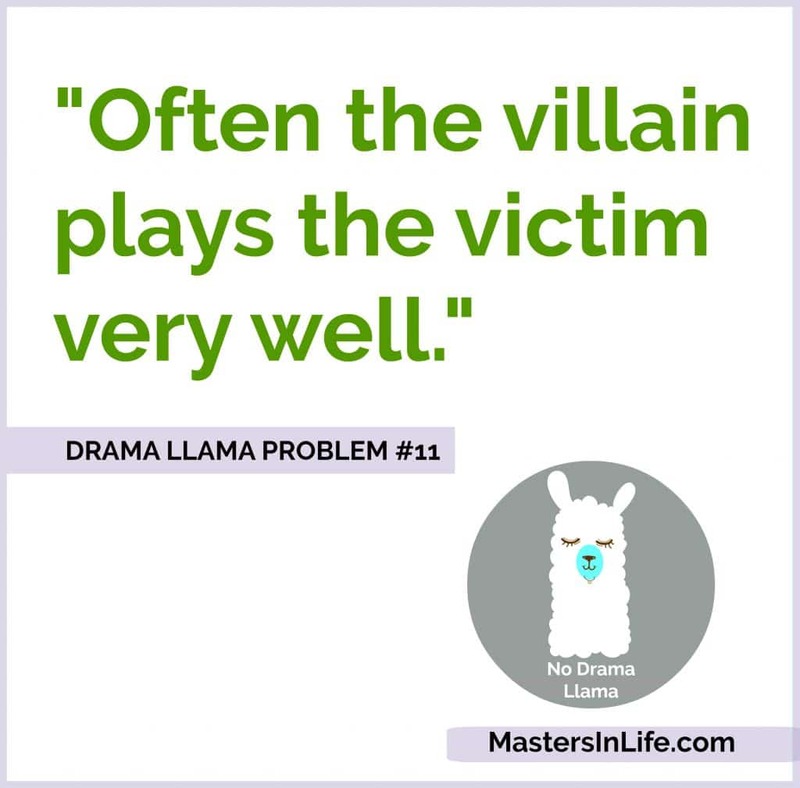 I call these people Drama Llamas. But you might have other less cute names for them. 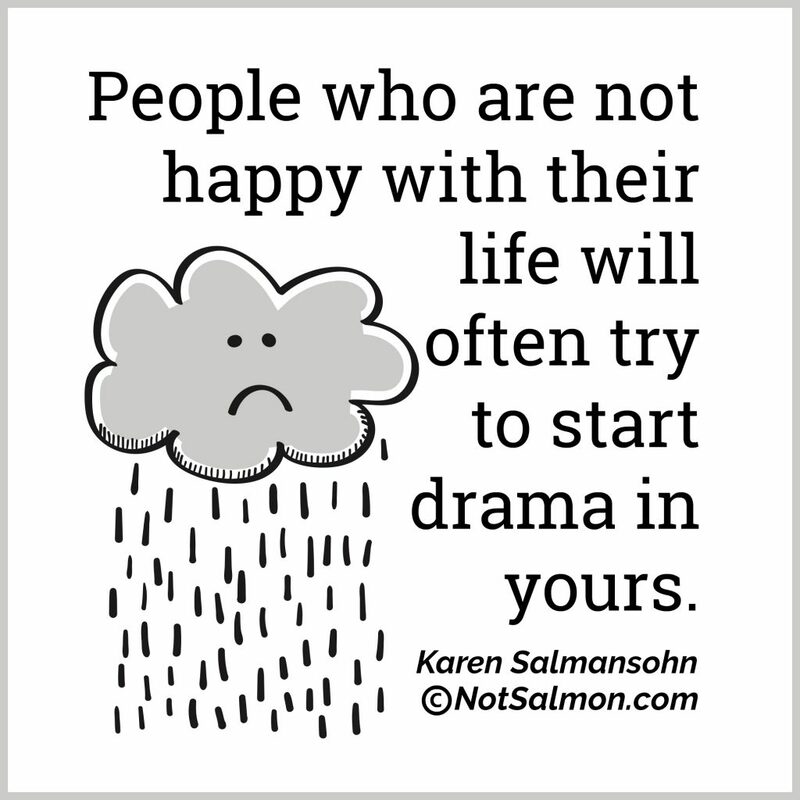 You might call them: irrational, impossible, manipulative, confrontational, untrustworthy or @#!%&!! No worries. 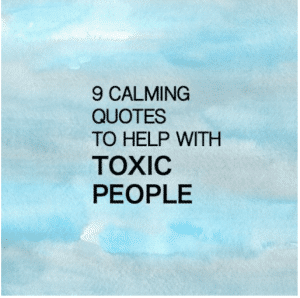 Here are 9 calming quotes to help you to better deal with toxic people – so you can stay peaceful and focused on what brings you joy. 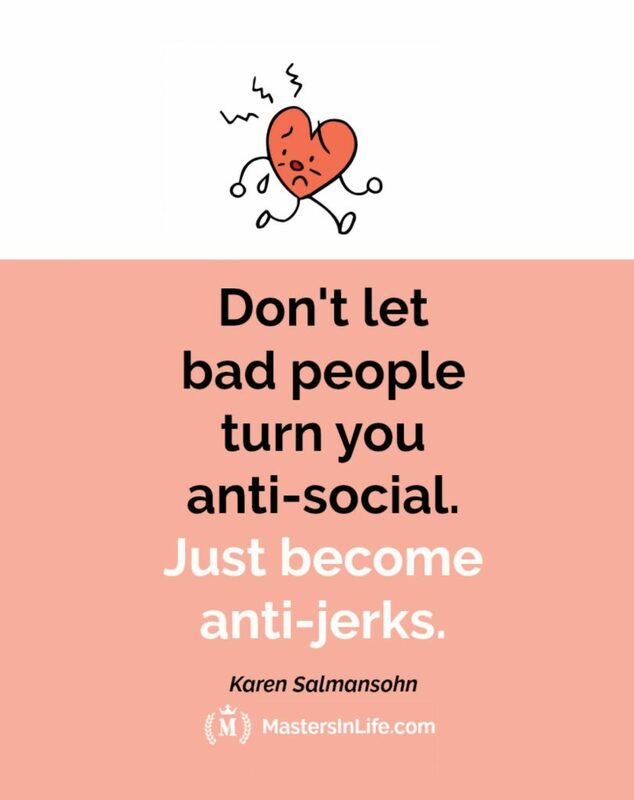 Stop energy vampires from sucking joy out of your day. 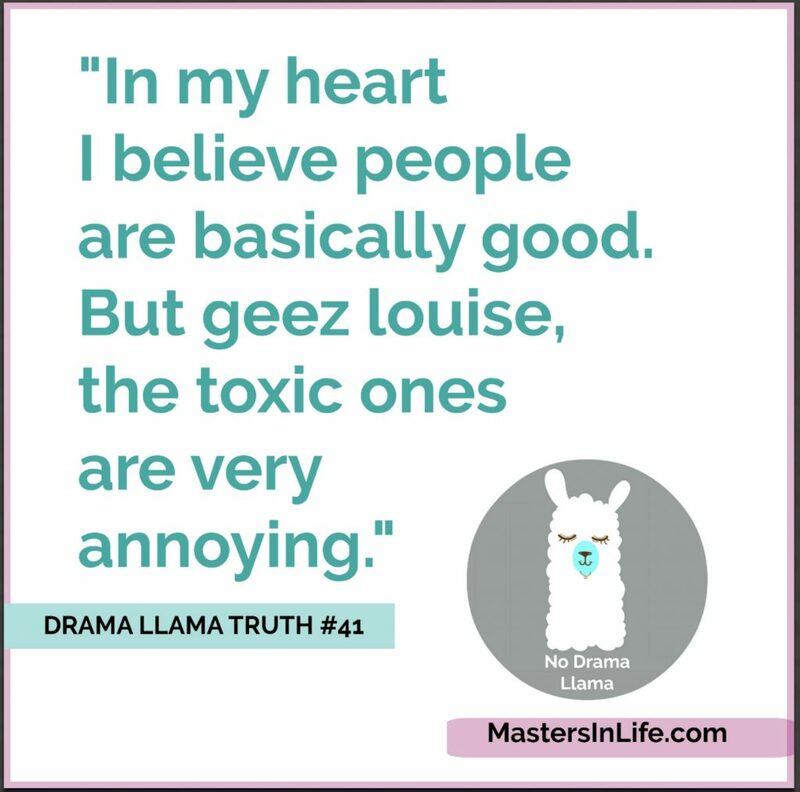 Learn about my BE A NO DRAMA LLAMA course. 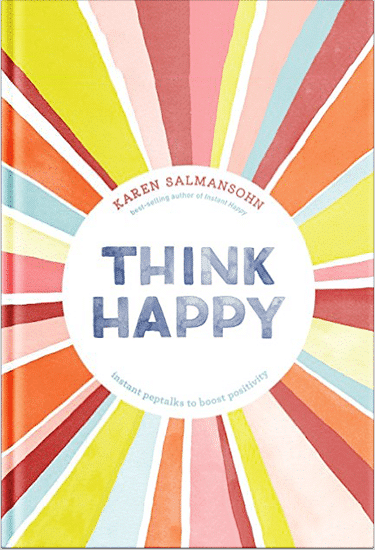 Stay happy—no matter how much life throws at you – with the research-backed happiness tools in THINK HAPPY! 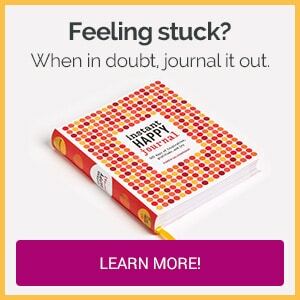 Boost your confidence, attitude, and mood with this powerful and thought provoking collection of short essays and happiness strategies. 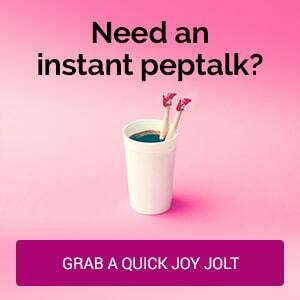 Think about subscribing for free weekly tools here. 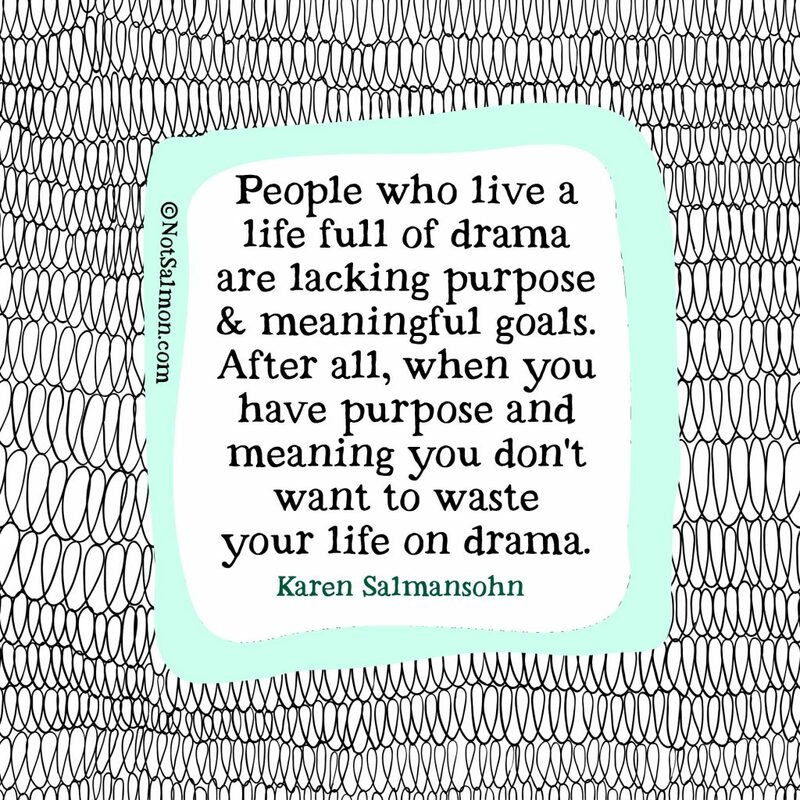 Please go to your inbox and click the confirmation link we just emailed you so you can start to get your free weekly NotSalmon Happiness Tools! 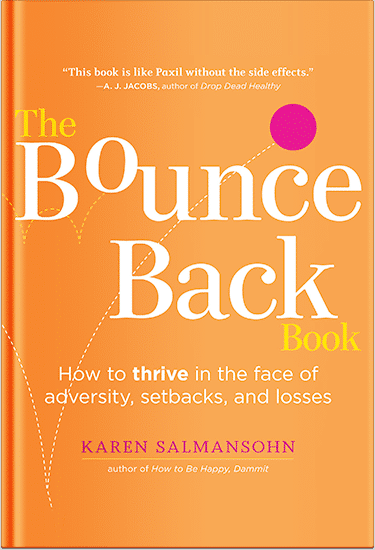 Plus, you’ll immediately receive a chunklette of Karen’s bestselling Bounce Back Book! 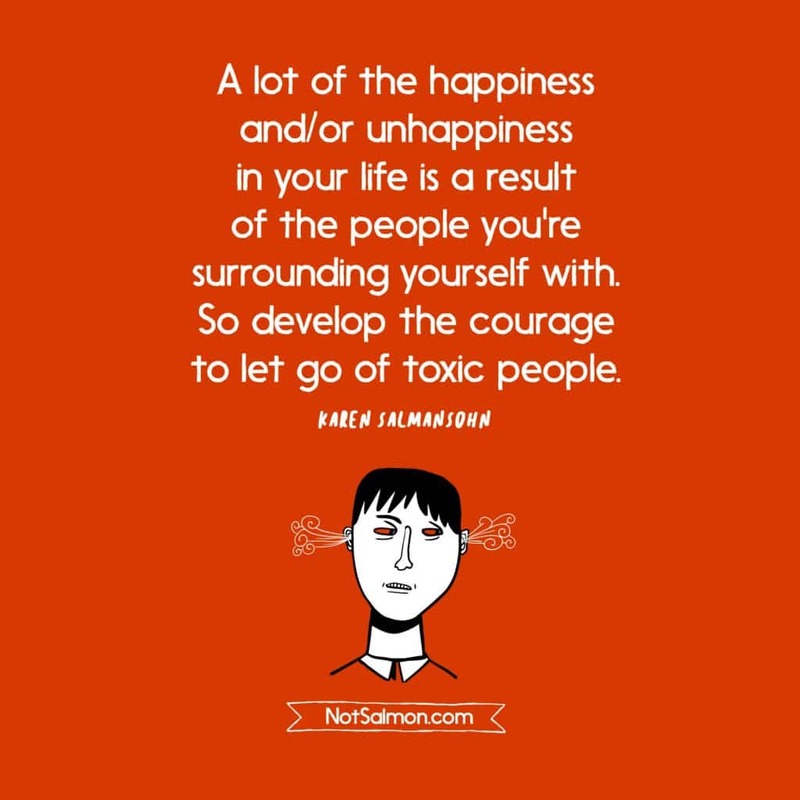 How and why to let go of toxic people of all kinds. Advice by Daniell Koepke. 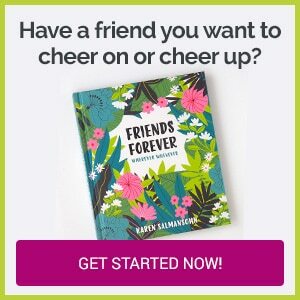 Join over 1.5 million loyal fans! 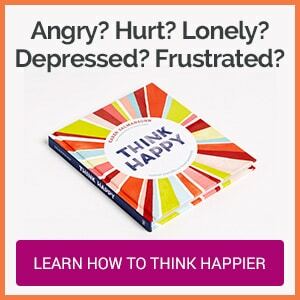 My research-backed happiness tools have been featured on CNN, Oprah, Psychology Today, The Today Show, etc – and will empower you to live a live of love! 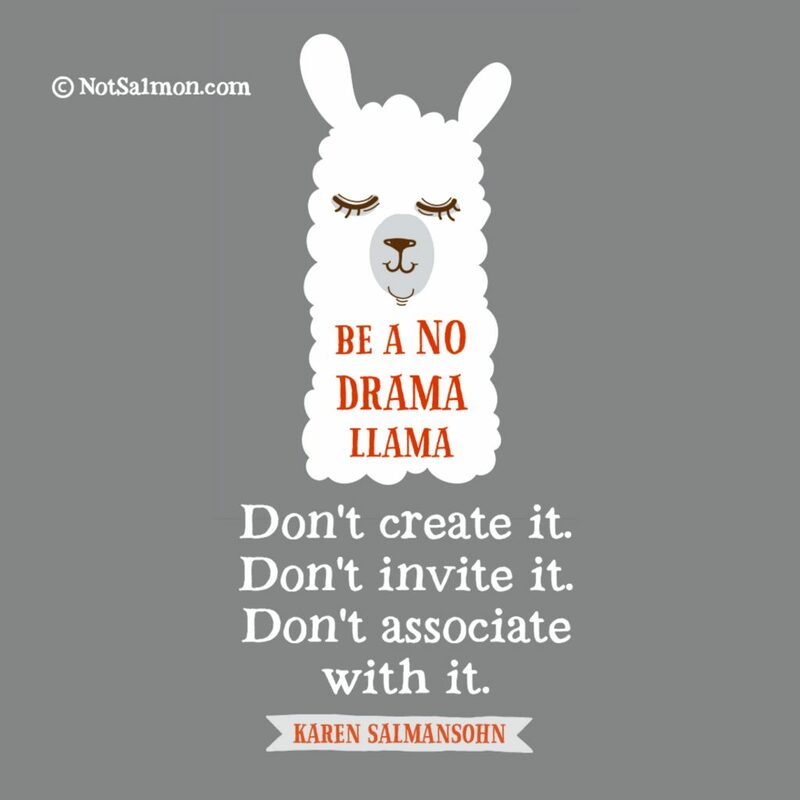 Hi I’m Karen Salmansohn, founder of NotSalmon. 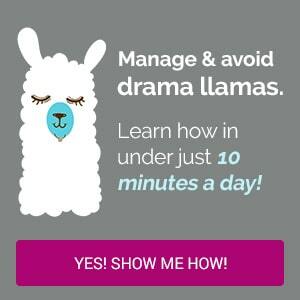 My mission is to offer you easy-to-understand insights and tools to empower you to bloom into your happiest, highest potential self. 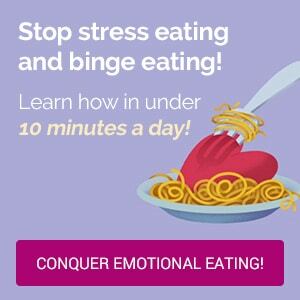 I use playful analogies, feisty humor, and stylish graphics to distill big ideas – going as far back as ancient wisdom from Aristotle, Buddhism and Darwin to the latest research studies from Cognitive Therapy, Neuro Linquistic Programming, Neuroscience, Positive Psychology, Quantum Physics, Nutritional Studies – and then some. 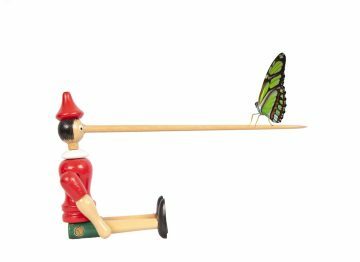 When Loved Ones Die, Do They Communicate Through Synchronicity? 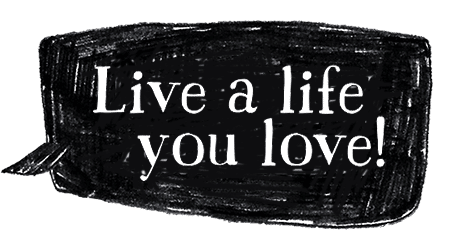 Do sociopaths, narcissists and mean people live happy lives? 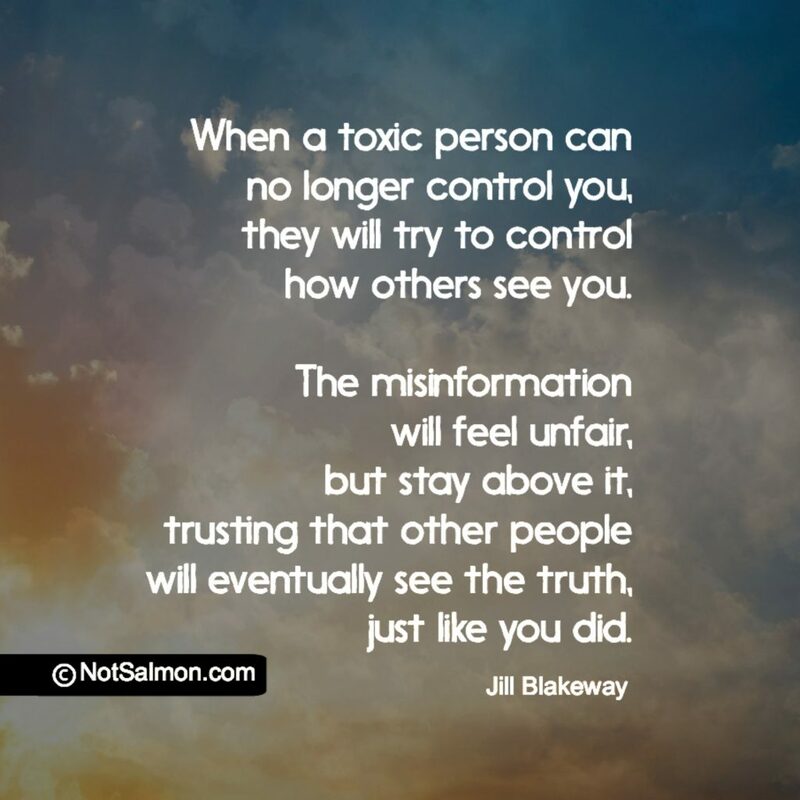 If you have (or had) toxic relationships of any kind, read this now! Relax. Focus. Sleep. 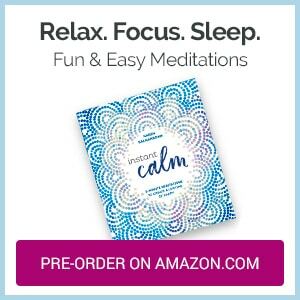 Check out my new book, INSTANT CALM! 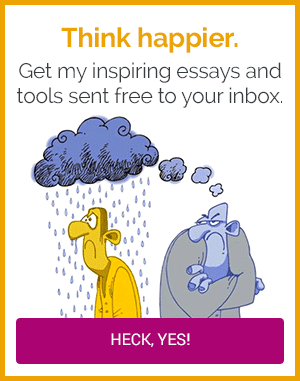 Subscribe now to get my inspiring essays & posters conveniently delivered to your inbox! 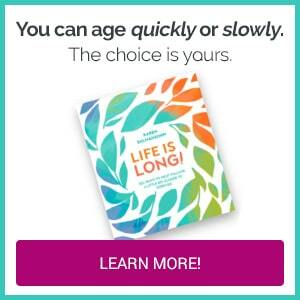 Immediately you'll get whisked a free chunk of my best selling Bounce Back Book!